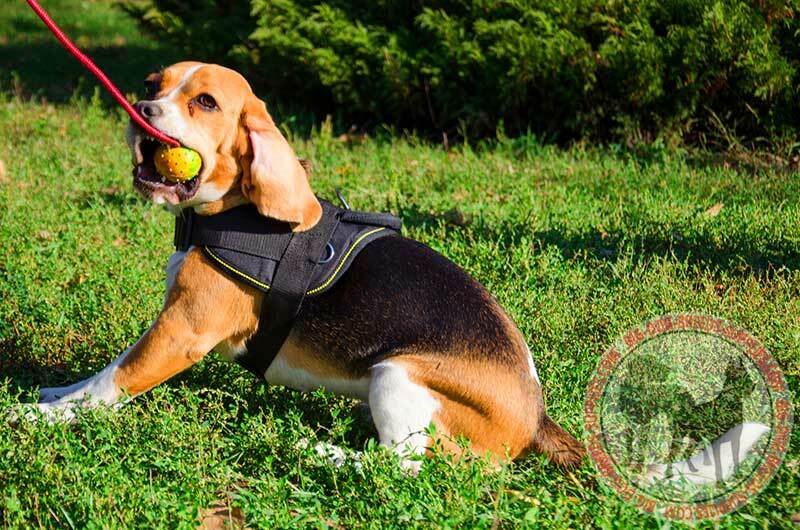 Want to own multipurpose canine equipment? 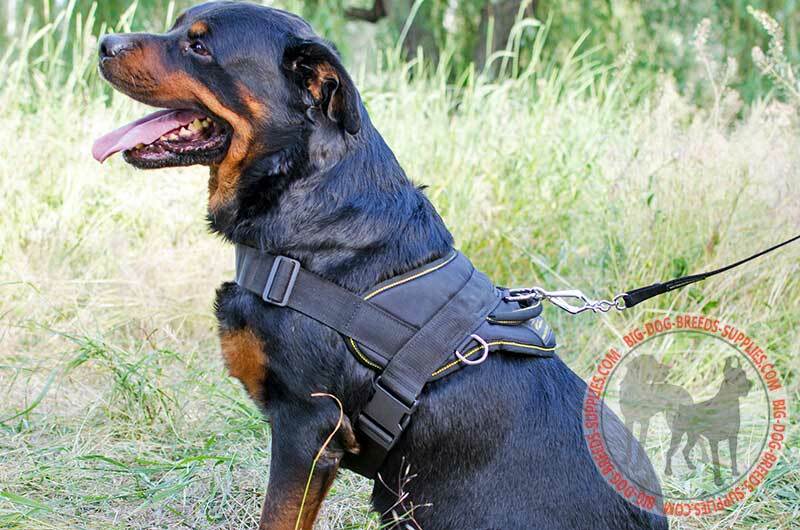 Get today lightweight nylon harness ideal for tracking, training, SAR, police and military work or just for daliy walking! Make gift for your pet! 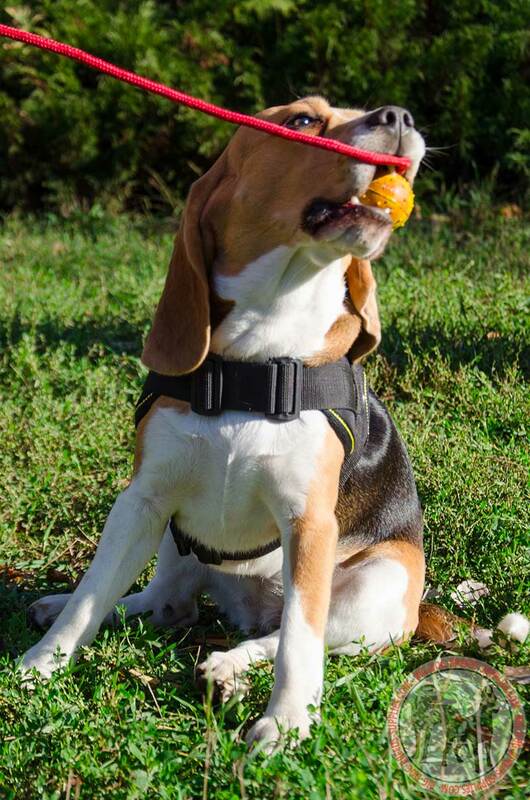 Do you want to make your pet happy while training or walking him? What about providing him with safe accessory? Ultra Lightweight Nylon Dog Harness with Padded Body is introduced on famous online pet boutique. 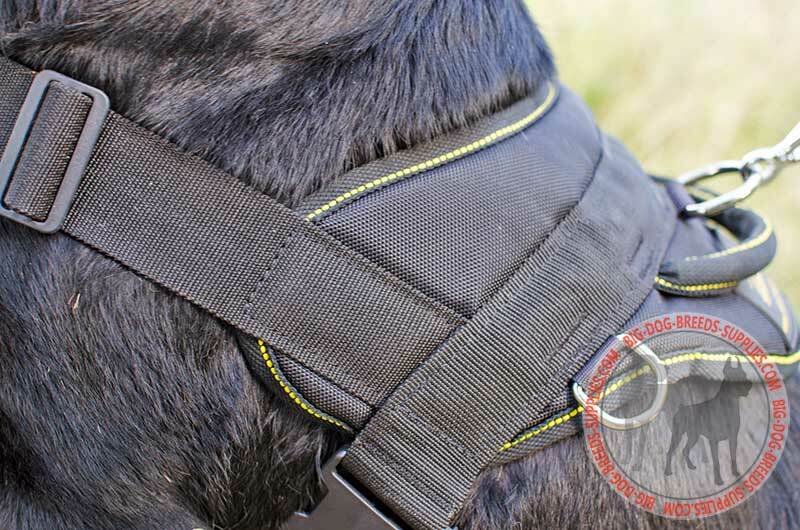 It is a multipurpose gear that is meant for pulling, tracking, patrolling, police and military service, guarding, traveling, swimming, water rescue, SUP boarding and of course everyday walking. It also comes in useful when making large dog obedient. It will be easier for you to subdue even a hyperactive and strong with the help of this equipment. To be in control of your pet is not a problem if using the item as assistant mean. 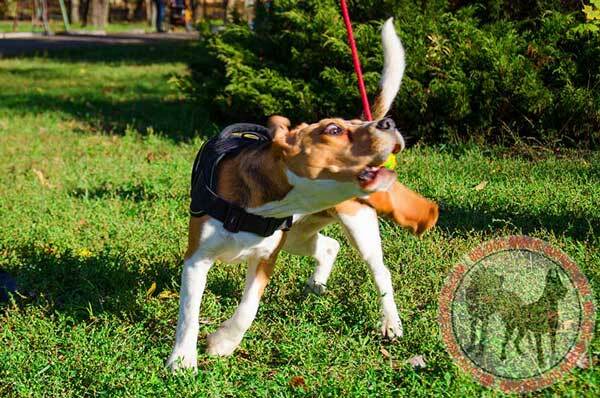 Feel like sledding, building your dog’s muscles or making fun with your kids? 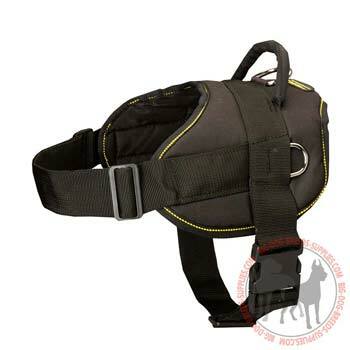 This nylon dog harness can be also suitable for these occupations. Your pet is likely to succeed in his education if handled by means of this nylon harness. Also, you will be able to use it for many years and be content with its service. Lightweight yet durable, washable and practical the supply is really great for every occasion. These two are the same functional and reliable. Both of them will serve you the good turn. 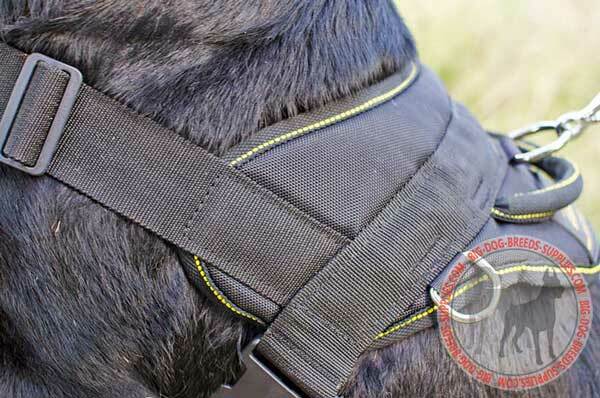 But with reflective harness on your pet will be visible nightly. Even if it is very dark outside you can take him out and walk or train him off leash without losing sight of its silhouette. 1. Top grade nylon – resistant to tear and wear synthetic fabric – the basic material the harness is made of. Nylon has excellent properties and is widely used in heavy industries. It is extremely durable but soft textile. 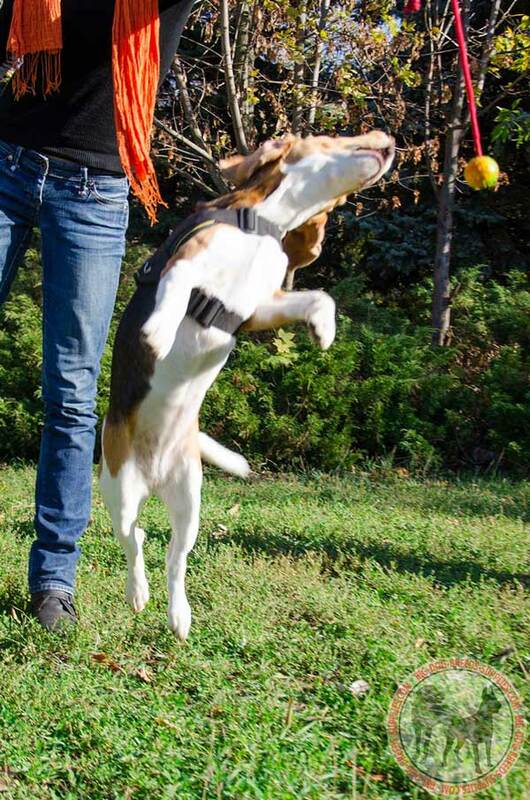 When pulling or tracking the dog uses its power. This equipment will not tear apart under the loads. 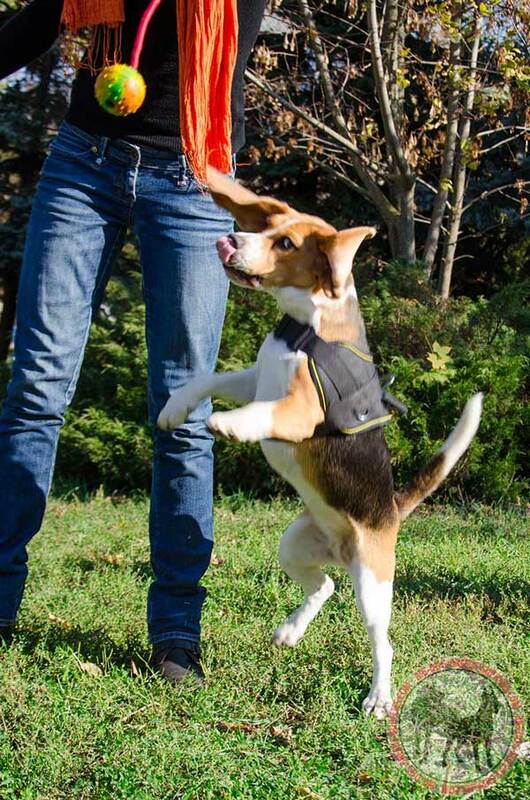 It is weatherproof gear so nothing will prevent your canine from walking in the rain now! 2. 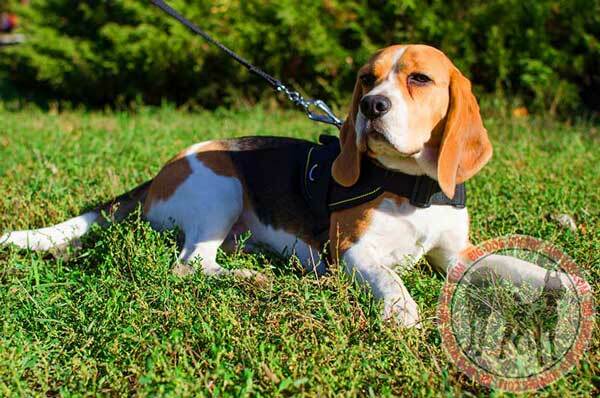 Feeling comfortable in this nylon harness your pet will focus on the task prescribed. Due to the well-thought-design the pressure is evenly distributed across the body. Your dog will be able to move freely as the wear allows for full range of motion of the head, shoulders, legs. 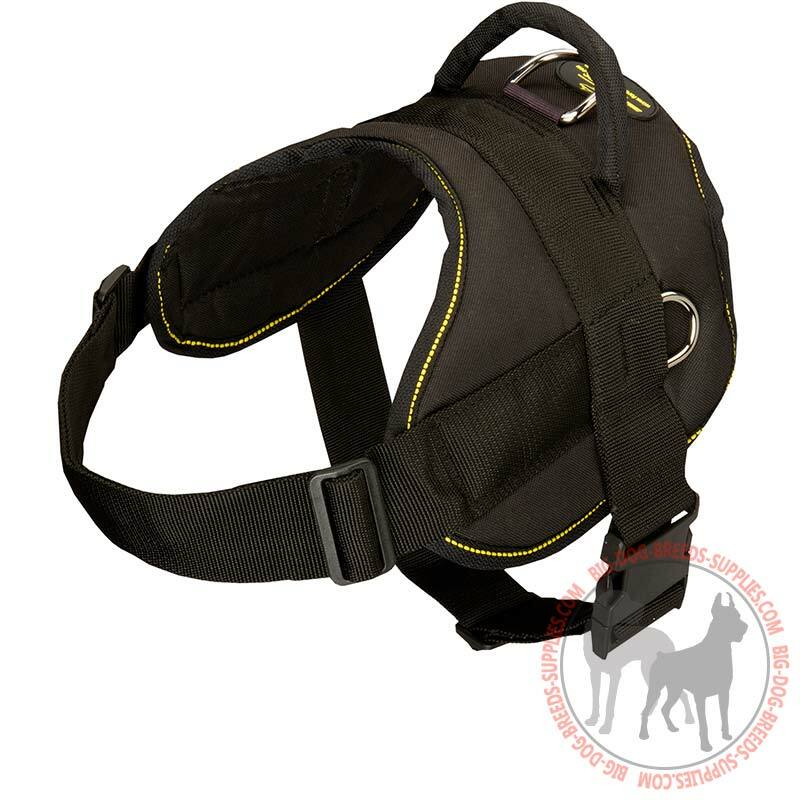 The pressure is diverted away from the throat to prevent the dog’s suffocation. It is almost impossible to get tired of wearing this equipment as it has light weight. Besides it is breathable and will allow the air through. 3. The back of the pet is better protected from hard hitting when covered with the nylon harness. It works as shock absorber. 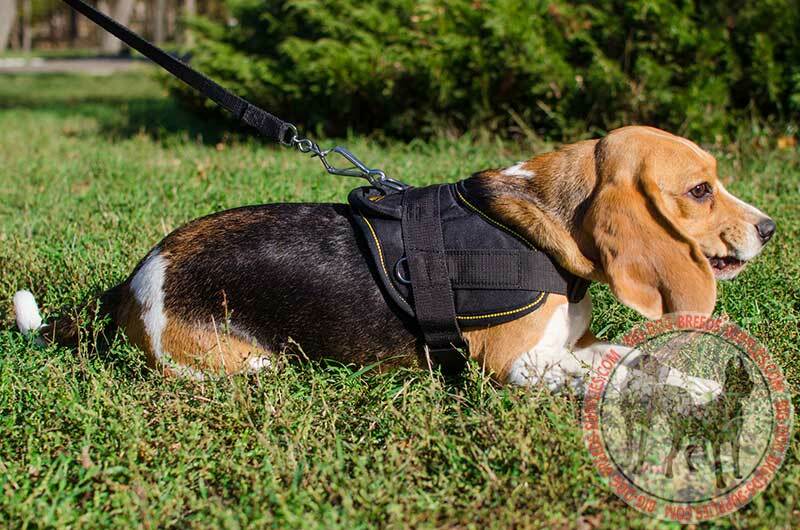 In addition, the body is padded with soft stuff in order your dog should feel extremely comfy when harnessed. 4. 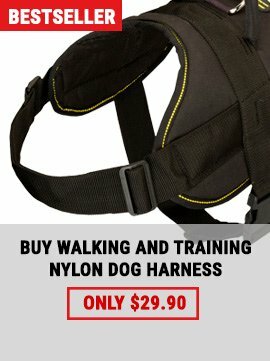 It will take you some seconds to put the gear on your pet. 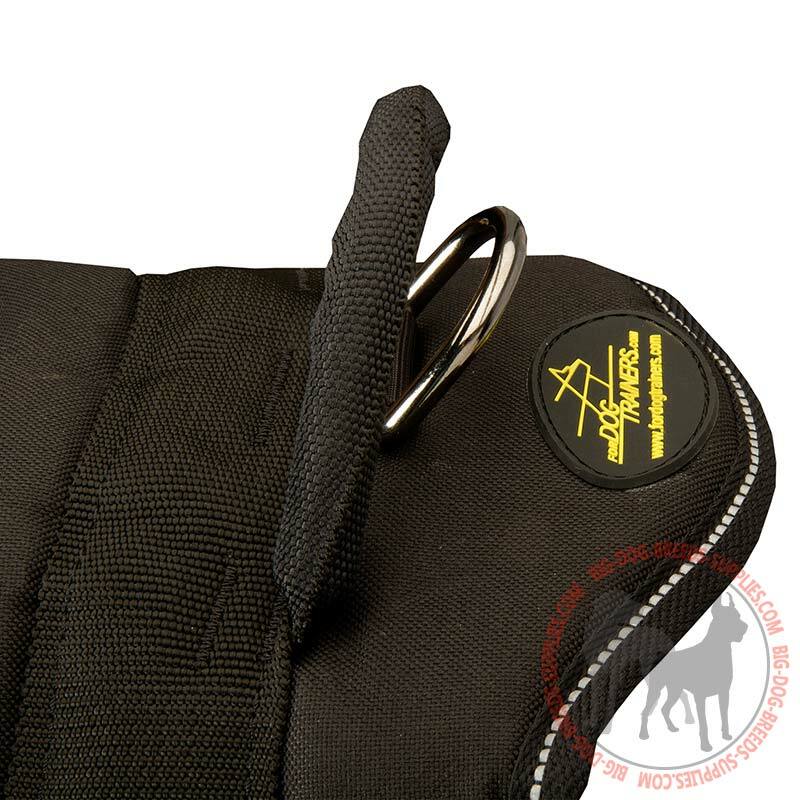 Being too–way adjustable with wide straps this ammunition will surely fit the body snugly. When the straps are duly adjusted click on the side easy quick release button to complete the fitting. By the way, the straps are wide enough not to dig into the skin. 5. 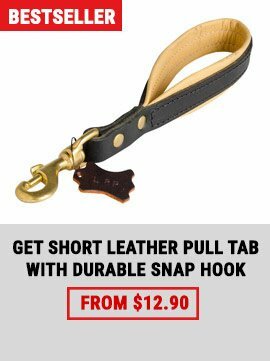 Handle on the top will be useful for quick management of your pet. 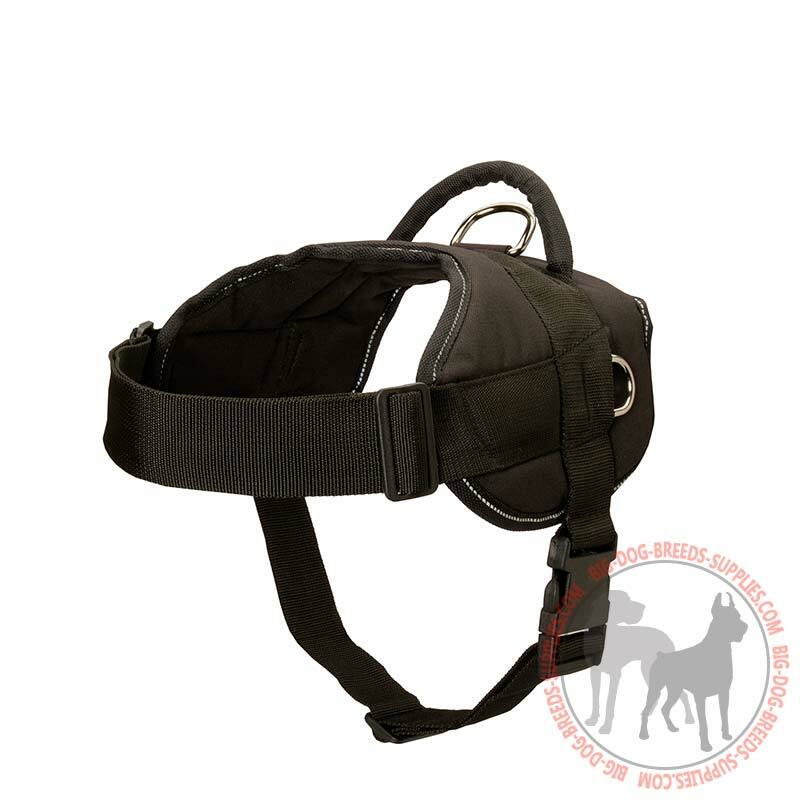 Just grab it when the need arises and you will have optimal control over your canine. This dog harness is appropriate for all big and giant dog breeds such as Amstaff, American Bulldog, Boxer, Bullmastiff, Bull Terrier, Cane Corso, Caucasian Shepherd, Doberman, Dogue De Bordeaux, English Bulldog, German Shepherd, Great Dane, Belgian Malinois, Mastiff, Newfoundland, Pitbull, Rottweiler, Saffordshire Terrier and other similar dog breeds. 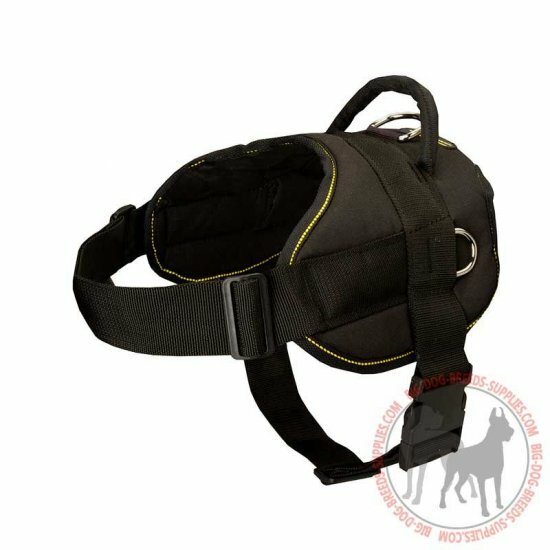 Please, while ordering this accessory, inform us of your dog breed and we will be happy to help you to choose the best size of the gear for your four-legged friend.